We should be thanking Shigetaka Kurita working in the Japanese mobile company Docomo for inventing emojis in 1998. Since then we have seen widespread use of emojis in chats, messaging apps, forums and any place you can type. You can find many such emojis on your Android phone- a laughing smiley, crying smiley, winking smiley and more. 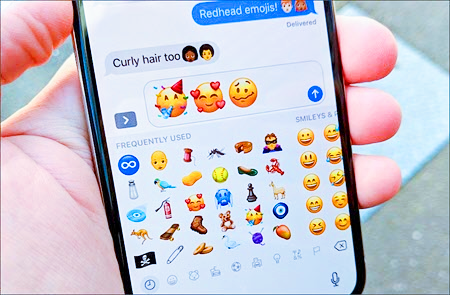 But many Android users are not satisfied with the host of emojis on their phone and want to get iPhone emojis. But what is the reason? You can have many reasons for wanting to get iPhone emojis on Android. Some say that the iOS emojis are more expressive and help you reveal your emotions accurately. Many find the Android emojis boring and outdated and want to try something new. Another reason is that many Android users haven’t upgraded their phones and are still using older versions of Android. So they are stuck with emojis that were developed many years back. Getting iOS emojis for your Android phone can be the perfect way to break out of the monotony and get your hands on cool new emojis. So if you are wondering how to get iPhone emoji on Android, we have 3 simple methods for you! You can express your emotions and feelings to the fullest. You will be able to do the needful without rooting your phone though we will also cover how to root your Android phone. First, we will begin by getting an iPhone emoji keyboard for Android. You can download the Emoji Keyboard app from Google Play Store for free. It has been created by Smart Technologies and the icon has two keyboards on each side. The app comes with ads and you have to pay to get rid of them. This method will only change the look of Android emojis to iOS in the keyboard but you will see Android emojis in your conversations. Download and install the Emoji Keyboard app on your mobile. Now launch the app by tapping on the icon in your phone. Now tap on the green button which says “Turn on the Keyboard.” You will be able to access your phones virtual keyboard settings after this. Hold the slider next to “Emoji Keyboard” and swap it right to “On” position. You will see a warning screen which talks about the risks of installing third party keyboard apps. It is default for all apps so you should not worry! Just tap on “OK” to continue. You will see a pop-up with a list of keyboards. Just select “Emoji Keyboard” from the list. Emoji Keyboard comes with a tutorial which tells you everything about using the app. You can tap “Next” and read through each page. Now open your messaging app and click on the smiley icon on the keyboard. You will be able to see iOS emojis instead of Android ones. This method lets you get iOS emoji for Android by changing the font of your phone. You will be able to use iOS 8, 9 and 10 emojis in all of your conversations. Many manufacturers like HTC, Samsung, Huawei, Xiaomi and others allows its users to change the default font of their phones. If your phone doesn’t support changing fonts, you will need to root your phone. 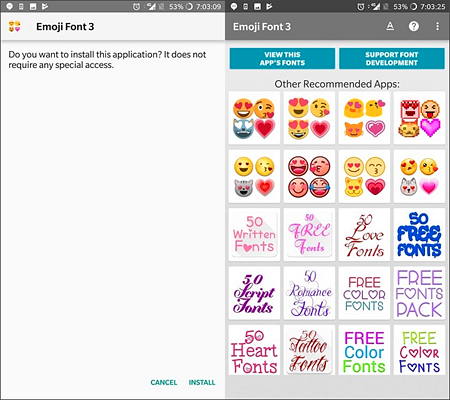 This step is necessary to download Emoji Font 3 which is not available on Play Store due to copyright issues with Apple. You can also download other apps from third party stores using this feature. You have to download the Emoji Font 3 apk from here. Locate the green button which says “Download” to get the apk. Any Android web browser like Chrome or Opera should do the job of downloading the file on your phone. You will be able to see the downloaded file in the notification bar of your mobile. Tap on it to run the file and install it. You should follow any on-screen instructions that pop up to complete the installation. Now access the phone “Settings” from the menu or notification bar. Scroll down to “Display” and tap on it. Choose “Font Style” from the list. You will be able to see the list of fonts on your phone. Now find out “Emoji Font 3” from the list and tap on it. You may need to tap on black areas of the app to save the settings. Once you select Emoji Font 3, the fonts on your phone will look a bit different. But that shouldn’t be of any concern as you will be able to get Apple emoji for Android and also don’t need to root your phone. If you are not satisfied with the looks of your fonts, just decrease their size a bit- and everything will be fine! We will install the Google Keyboard App called Gboard from Google Play Store. 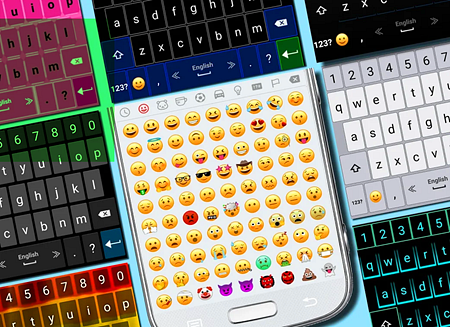 The keyboard comes with a simple and easy emoji switcher and also offers a smooth function. Just download the app and install it on your phone. Now you will be able to enjoy iPhone emojis on Android in all conversations and messages. You can open any app that lets you type and try out the cool new expressive emojis. The method is effective for people who cannot change the font on their phone. You will be able to get iOS emojis by changing the font of your phone forcefully. But it is a safe method and you shouldn’t worry about anything. You have to begin by downloading and installing Emoji Font 3 on your phone. We have discussed the steps just in the above method and you can simply follow them. 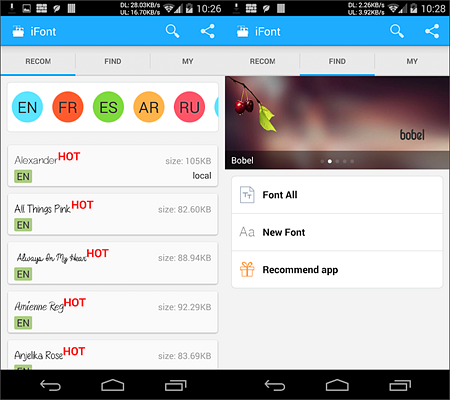 Now you have download iFont from Google Play Store and install it. You can use this Android app to change the fonts of your phone easily. You will find an option called “My Install” in the list provided. Tap on it and choose Emoji Font 3. Next hit the “Set” button at the lower part of the screen. You will be able to use the iOS emojis after you have rebooted your phone. You also have the liberty of using other emojis such as Android Oreo emojis in your chats and messages. No matter what iPhone emoji you like, you can get them on your Android phone too and impress your friends. Come on, if they are an Apple fan and don’t know which phone you own, you could even tell them you are an iOS owner. Who knows, right? Tip: Lost data from your Android phone? 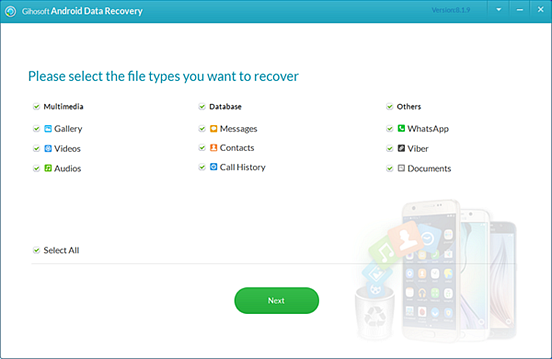 Download this free Android data recovery software to recover deleted files from Android for free.